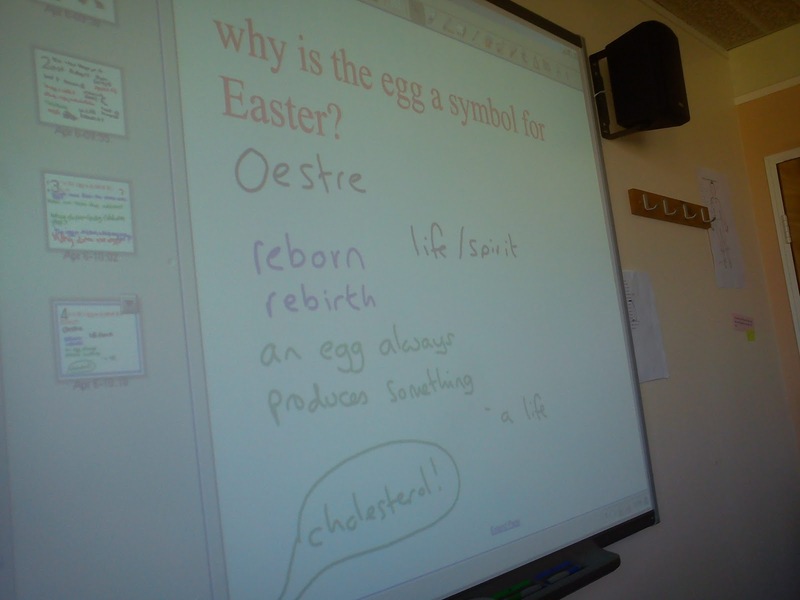 Paul's ELT Journal: One egg, one lesson. The group: an ESOL Entry 3 class, pre-intermediate/intermediate level. 9 students out of 18. 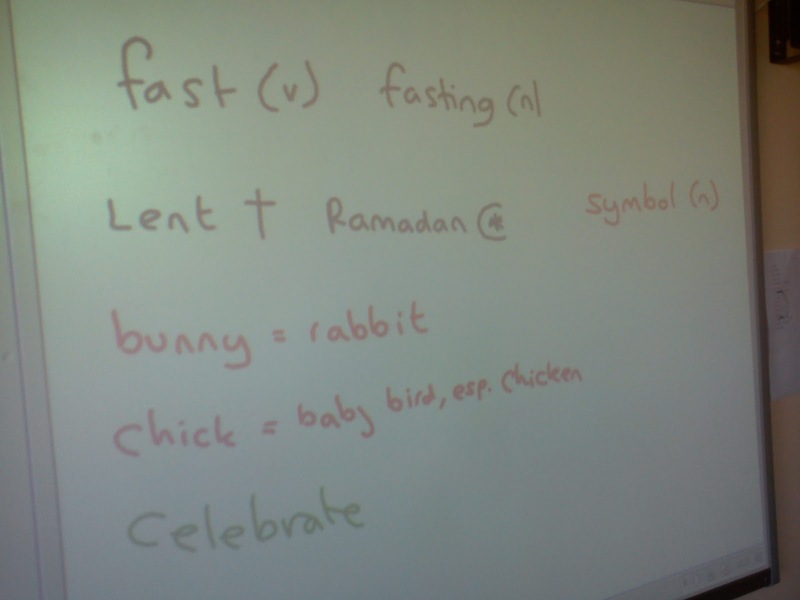 They did an exam on tuesday, and this was their last lesson before the holidays. write 'holidays!' 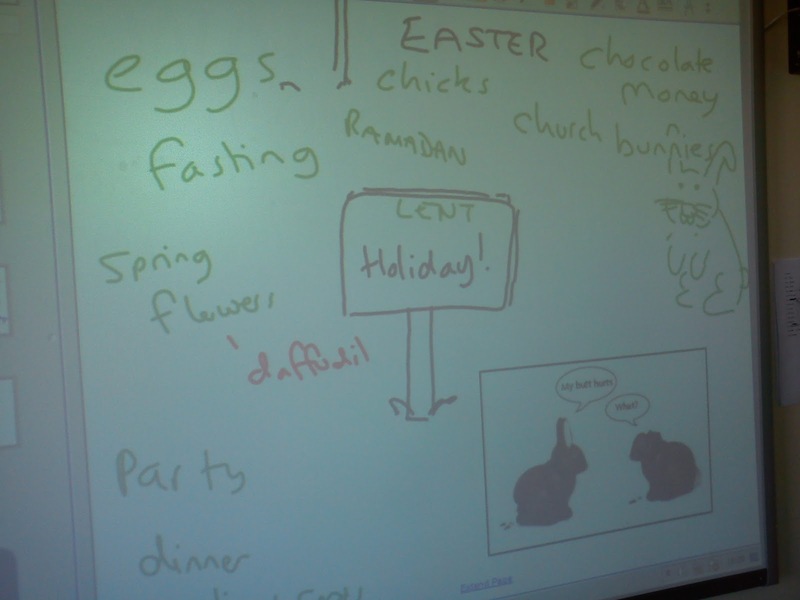 and 'Easter' on the board. give students some time to think of vocab associated with the words. feedback from class, write words on board. explain any vocab. find humorous picture of chocolate rabbits. 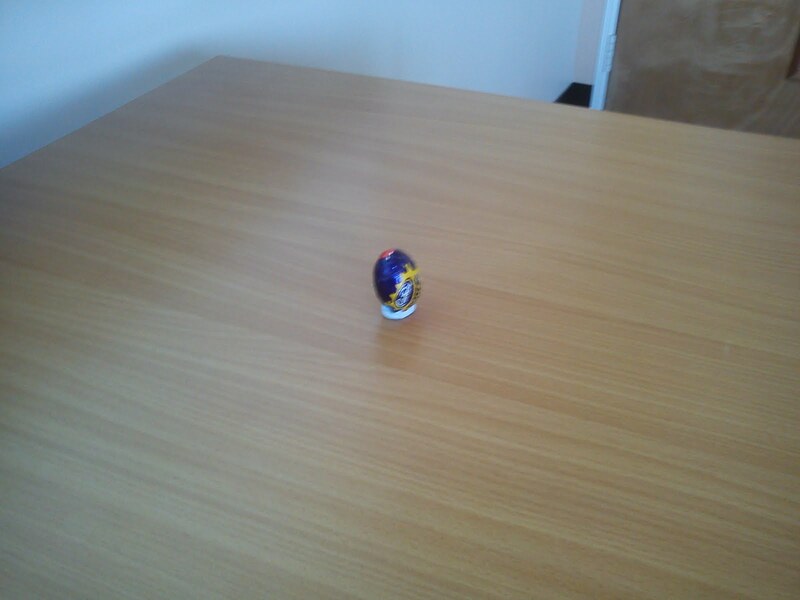 next, put one small Cadbury's Creme Egg on the table in front of the board. Ask questions: what does this mean? what do you think about these? Give students a couple of minutes' thinking time, but not discussion time with others. Place students in groups to discuss what they thought. Run a quick feedback on ideas, adding any new vocab to board. Next, in groups: what question would you like all the class to answer? students in their groups brainstorm some questions, then decide on one question they would like to ask. 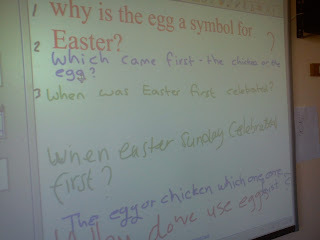 students come up and write their question on the board. Here's a chance to do any necessary correction, eg use of auxiliaries. groups explain why they chose their question. whole class then votes on which question they would like an answer to. after vote, they give their ideas in a turn-taking discussion. One student can act as scribe for vocabulary/ interesting ideas. conduct final feedback on session - conclusions, ideas, feelings. return to vocabulary and/or any grammar issues. the question my students wanted to answer was 'why is the egg a symbol for Easter?' 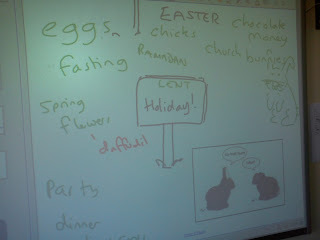 which led to a fascinating discussion about Lent and Ramadan, different Easter traditions, how spring is celebrated in different parts of the world and in different religions, what fasting means, the advantages and disadvantages of fasting, and why Spring is important in some parts of the world and not in others. 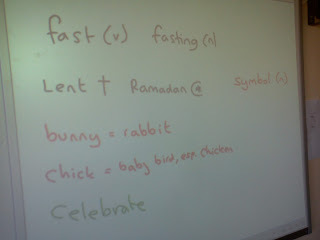 With the vocab, I asked my students if and how they would use the new words, and how they usually record vocab. Finally, we looked at the structure of a passive question. See? Cadbury's Creme Eggs. A whole lesson in a yummy mouthful.